Home News Who is your club legend? Who is your club legend? More than $50,000 in cash prizes is available to local sports clubs and volunteers after Viva Energy launched its 2018 Club Legend Award this week. The 2018 competition follows the success of the Corio refinery operator’s inaugural Club Legends awards last year, when 20 winners, finalists and their clubs shared the prize pool. 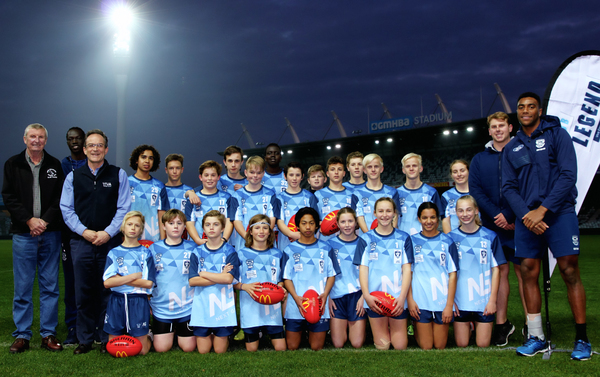 The refinery’s general manager launched this year’s competition at the Geelong Cats’ Next Generation Academy on Wednesday night with the help of star player and Club Legend ambassador Daniel Menzel . “Viva Energy is delighted that our local community so enthusiastically embraced last year’s Club Legend Award,” Thys Heyns said. Menzel was rapt to support a program recognising the importance of sports club volunteers and role models. 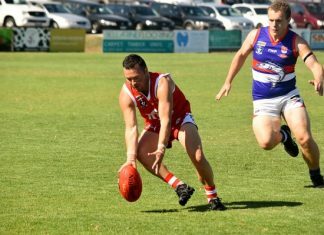 “As a junior playing AFL I was hugely grateful for the support I received from coaches, players, volunteers, family and friends and it’s great to see that support continuing today at clubs across Geelong,” he said. “I know how many unsung heroes there are in Geelong sports clubs and this award is a fantastic way to recognise the support they provide the community. The award was an important part of the refinery’s ongoing commitment to the local community, Mr Heyns said. A panel including Mr Heyns will decide the Club Legend winners and finalists, while a public vote will decide a People’s Choice award winner. A presentation night is scheduled for 6 September. The overall Club Legend winner and their club receive $5000 each. The runner-up and their club receive $2000 each, with the same prizes for the People’s Choice and $1000 for finalists and their clubs. Nominations opened on Wednesday and close on 3 August at clublegend.com.au.